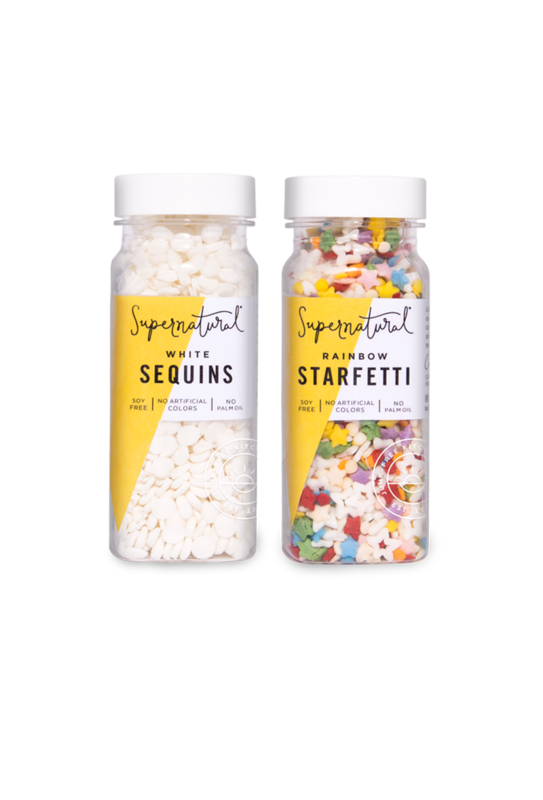 Rainbow Starfetti, White Sequins, and Plant-Based Food Colors: From top to bottom, this bright bundle has you covered for almost any baking project, minus the toxic tradeoffs. In a recent study, we found the number of times chefs use just one sprinkle is never. So in the name of science: Two specially priced, soy-free sprinkles, just for you.